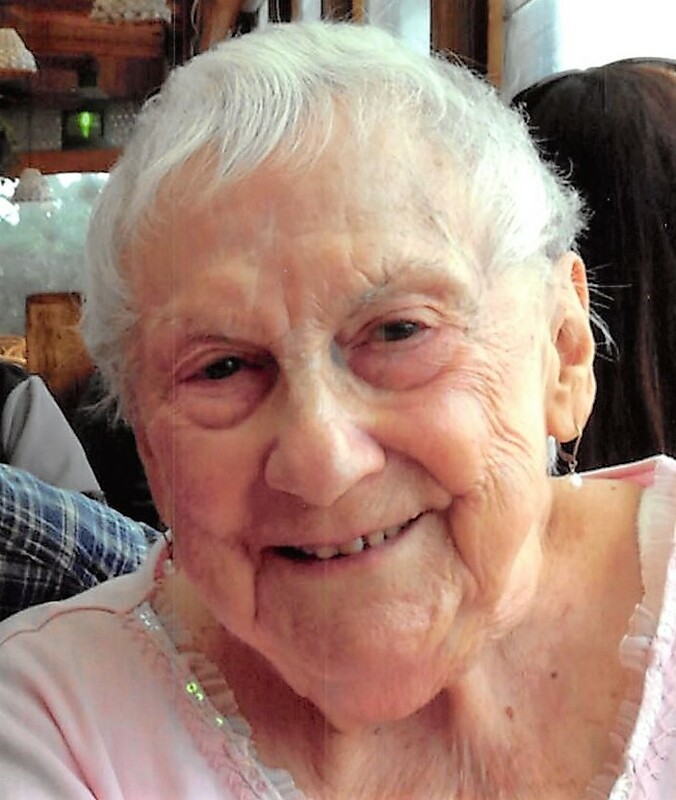 Mildred Trainor (nee Drogo), 92, of Toms River, formerly of Northvale, passed away on Tuesday, January 22, 2019. Beloved wife of the late John. Loving mother of Deborah Trainor of Toms River, John of Nanuet and Kevin of Northvale. Cherished grandmother of Michael and Lindsey Annichiarico, and Kevin Trainor and great-grandmother of Lucy Rose. Beloved aunt of John Compossa. She was predeceased by seven brothers and sisters. Mildred was a member of the Northvale Golden Agers and Senior Center and was a parishioner of St. Anthony’s Church in Northvale. Mildred taught generations of family and friends the meaning of enjoying life. She treated those around her with fairness and love and will be missed by all who knew her. Visiting hours are Saturday 2 – 5 PM at Pizzi Funeral Home, 120 Paris Ave, Northvale (201-767-3050). Interment will take place at Sebastian Cemetery, Sebastian, FL. In lieu of flowers, donations in Mildred’s memory may be made to the March of Dimes, www.marchofdimes.org. I’m so sorry for your loss. The pain of losing a love one is intense and at times unbearable. May your family find comfort in a future hope that God offers. In His word at Revelation 21:4,5 he assures us that death, sorrow and pain will be done away with. He also promises that there is going to be a resurrection (Acts 24:15). Imagine what a wonderful reunion it will be for your family when you see your dear mother, grandmother, aunt and friend again. I pray that this hope and the memories you have, soothe the pain in your hearts until you see Mildred again. You are in our hearts and prayers. We are praying for your strength. Love from your River Edge Family.